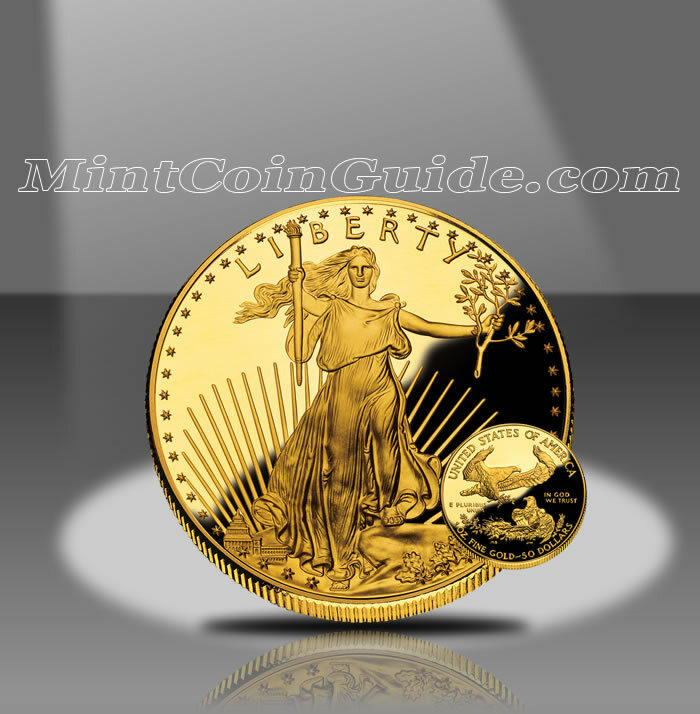 The 2009 American Gold Eagle Coins proved to be a traumatic year for those investing in the bullion versions of the coin, or trying to collect the numismatic proof or uncirculated Gold Eagles. Facing intense demand for the bullion Gold Eagles, the Mint was forced to ration the One Ounce strikes for the first half of the year before opening them up for normal ordering beginning in June. By the end of the year, the Mint had to place the One Ounce Eagles on suspension for a short time before bringing them back again under the allocation program. The fractional Bullion Eagles were only available for a brief time in December upon which their entire available mintage sold out. With the Mint forced to strike as many of the Bullion Eagles as it could to try and meet demand, a cancellation of the numismatic Proof and Uncirculated Gold Eagles was announced for the year in October of 2008. This marked the first time that the Proof Gold Eagles were not struck annually since their introduction in 1986. Despite being under a rationing program for a large portion of the year, the total 2009 Bullion Gold Eagle mintage turned out to be the fifth best ever for the program up to that point. Required by law to strike the Bullion Gold Eagles to meet demand, the Mint cancelled production of the 2009-dated Proof Gold Eagles. This marked the first time since their introduction in 1986 that the Mint failed to strike an annual version of the coin. The US Mint also cancelled production of the 2009 Uncirculated Gold Eagles so that it could direct all available gold planchets towards the production of the Bullion Gold Eagles. The 2009 Gold Eagles marked the twenty-fourth year in which the US Mint produced coins under the Gold Eagle Program. One Ounce Gold Bullion Eagles were available for the first five months of the year from the Mint’s network of authorized buyers who were subject to an allocation program from the Mint. In June, the Mint lifted the allocation program on the strikes but it was put in place again in December after a short suspension of sales. The fractional Bullion Gold Eagles were only offered for a short time in December and their entire mintage was sold out. The Mint sold the Bullion Gold Eagles for a small premium above the current spot price of the gold contained within them. Augustus Saint-Gaudens originally designed the image of Lady Liberty found on the obverse (heads side) of the Gold Eagles for the 1907-1933 Double Eagle Coins. The reverse (tails side) was designed by Miley Busiek and shows a nest of a family of eagles with the male soaring above it.